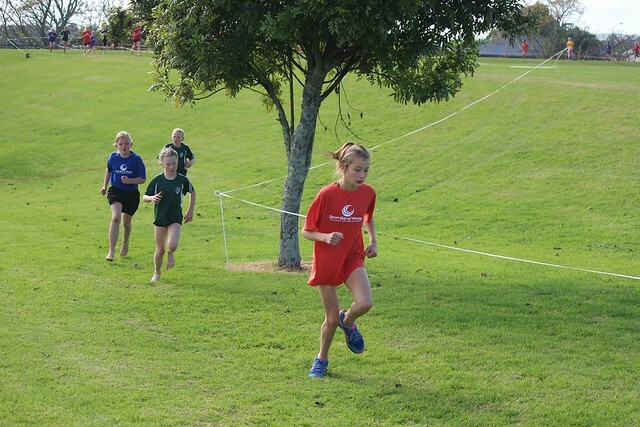 It was a great day at Waipuna Park, Welcome Bay, for the 2017 Primary and Year 7-8 Cross Country event. The weather was overcast and there was cold breeze coming off the hills, but that could not hold our athletes back though and some hard racing was to be had. One 'test firing' of the starter's gun saw the Year 7 girls take off at a hundred miles an hour, before being brought back to the start after running 500m. All races were very competitive and the top 15 finishers of each race will be going on to the BOP Champs in Rotorua on Tuesday 27 June.